With TextMagic Distribution lists you can easily forward email alerts as text messages. Your app sends an email to the distribution list email address, which is then converted to a text message and delivered to everyone on the distribution list. Select Services and then Distribution lists from the main menu. Give your SMS distribution list a name. Set the maximum length of the text message. (Learn more about maximum SMS length). Choose the Sender settings (the number that your message will be sent from). 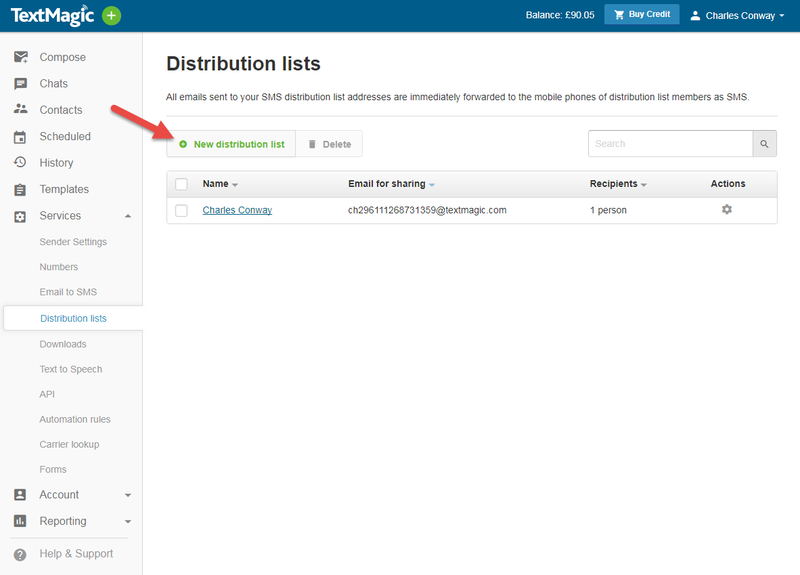 Your SMS distribution list is now ready for use! 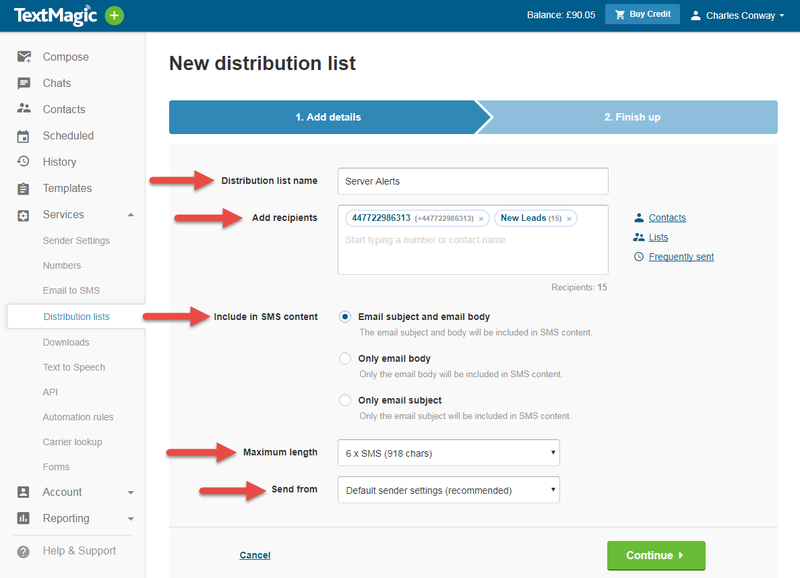 When an email is sent to the distribution list email address, all the recipients you added in the Step 1 will receive a text message with the contents of the email. Now you need to set up forwarding in your email application. Learn how to forward incoming messages from Microsoft Outlook or from Gmail.